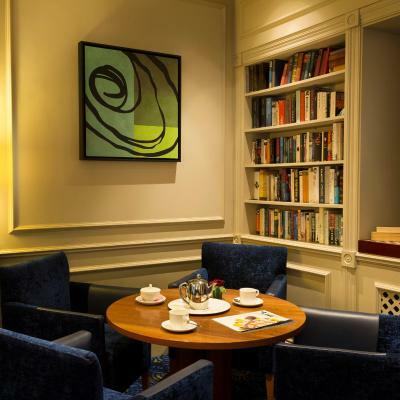 Lock in a great price for Somerville Hotel – rated 9.2 by recent guests! 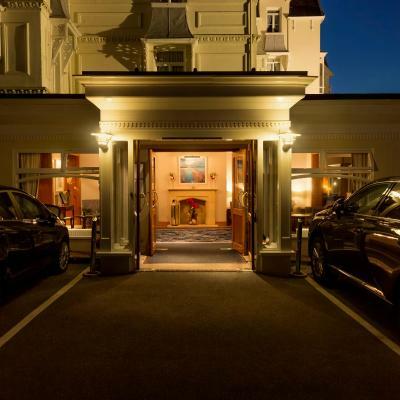 The hotel is excellent in a fantastic location, the staff were all friendly and went out of their way to help. Food and service was really good. Will definitely stay again. The staff were wonderful, friendly and helpful. The food was excellent, well prepared and served. 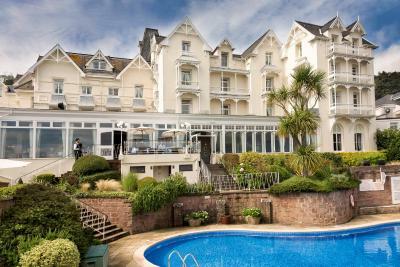 A spectacular property in the old style, with the most excellent breakfast buffet I have enjoyed. The staff were exceptionally good, as was the breakfast (even when they were very busy) Great location. 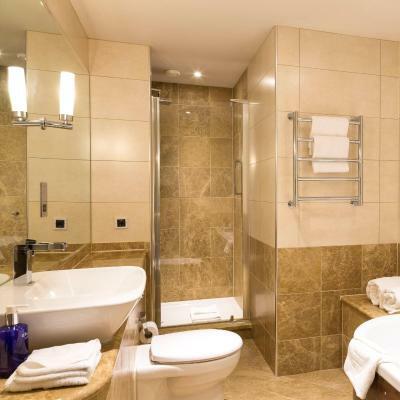 Super room with a bath and separate shower. Dinner in Tides Restaurant was excellent as were the pre dinner cocktails. Beautiful location. 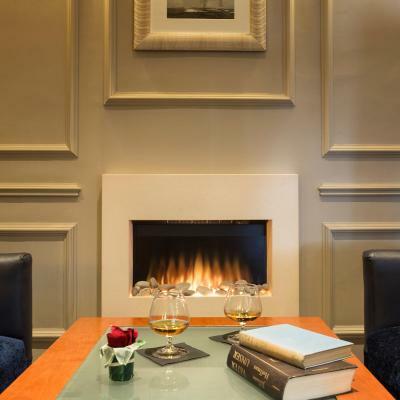 There is a quiet and relaxed atmosphere within the hotel which we found very pleasant. The breakfast was excellent. Lovely staff. Great location. Really relaxed and helpful attitude. Breakfast was yummy. 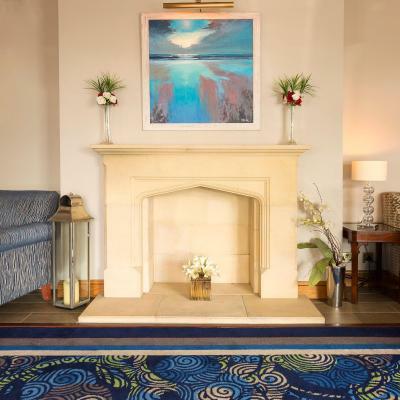 Somerville Hotel This rating is a reflection of how the property compares to the industry standard when it comes to price, facilities and services available. It's based on a self-evaluation by the property. Use this rating to help choose your stay! 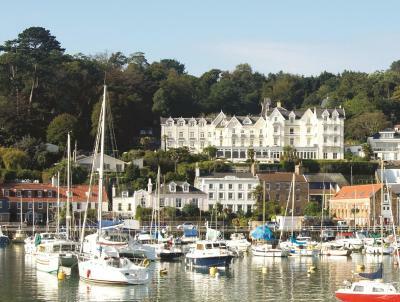 On a hillside overlooking the picturesque harbor of St. Aubin with its restaurants, shops and pubs, this charming hotel is set within award-winning gardens. 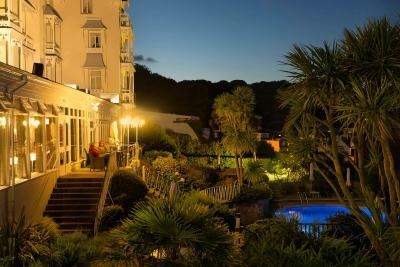 The Somerville Hotel has an outdoor swimming pool and terrace from which there are spectacular views. 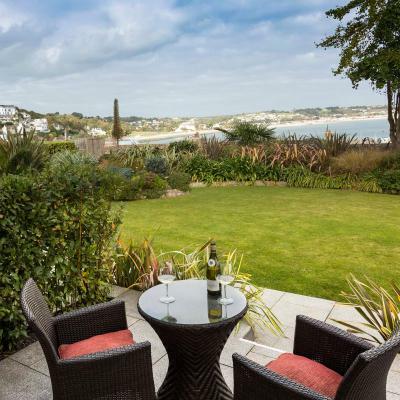 The sandy expanse of St. Aubin's Bay and the sheltered cove of Belcroute are only minutes away. 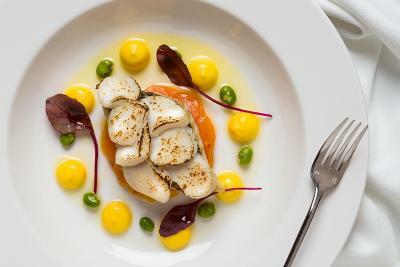 Good food is part of daily life at the Somerville Hotel. Our chefs use seasonal local produce to create an extensive menu which is complemented by a competitively priced list of fine wines. After dinner, you can retire to the privacy of your room. 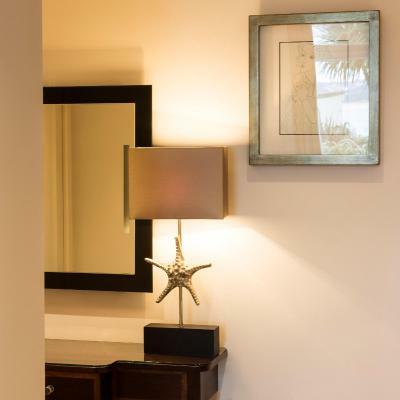 All rooms are individually designed and luxuriously furnished for the ultimate in comfort. 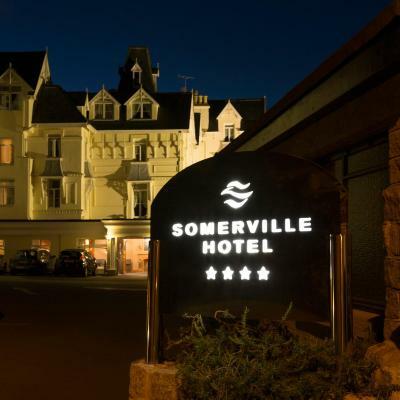 When would you like to stay at Somerville Hotel? From this room you can enjoy wonderful views of the yachting bay of St. Aubin. 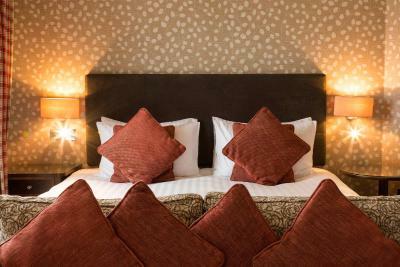 When booking, please specify in the 'guest comments' section if you require a twin or a double room. 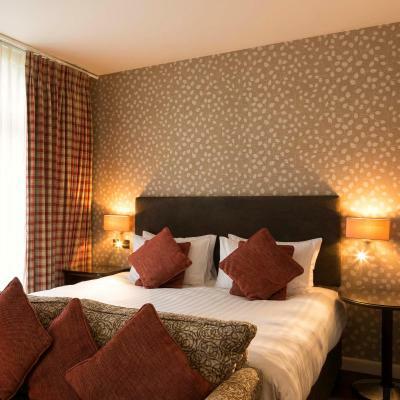 When booking, please specify in the 'guest comments' section if you require a twin or a double room. 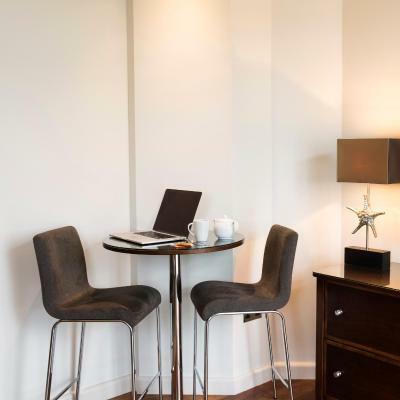 Spacious rooms with luxury furniture and extra sitting area. 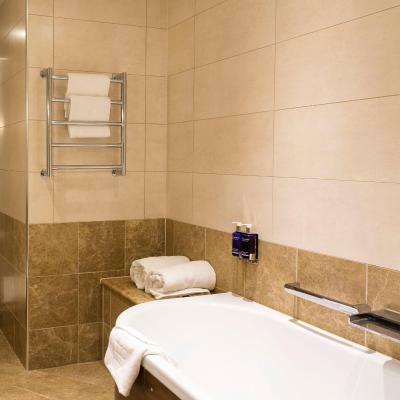 With a sea view, this room features tea and coffee-making facilities, along with a private bathroom with complimentary toiletries. 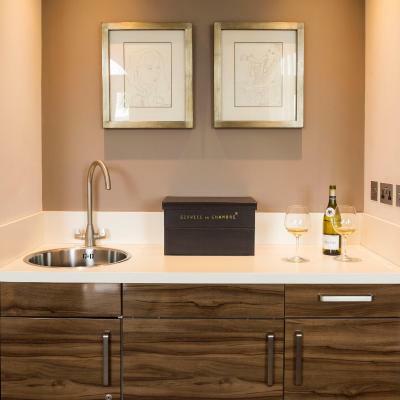 This room with a private bathroom features a sea view, a safe and tea and coffee-making facilities. 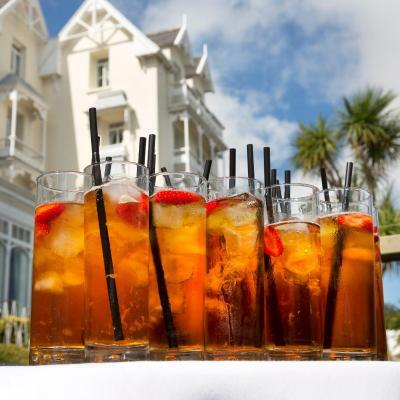 House Rules Somerville Hotel takes special requests – add in the next step! Somerville Hotel accepts these cards and reserves the right to temporarily hold an amount prior to arrival. It is such a beautiful hotel. It was a present for my mum and she just loves the place. The room with sea view at front was amazing. Everything is spotless and the staff are so lovely-particularly Joe, the lovely girl at breakfast and the manager was so helpful. Breakfast with an amazing view is a highlight. We will definitely be back 😊. Thank you for lovely holiday. Some of the rooms and bathrooms are small and ours was a little bit dark. The bedroom furnishings and fittings are a bit dated but clean and in good condition. 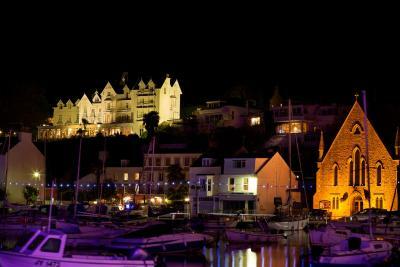 The hotel's position high up over the photogenic St Aubin's harbour and the wider bay is fantastic. The gardens and pool area look lovely but we came too early in the season to enjoy them. 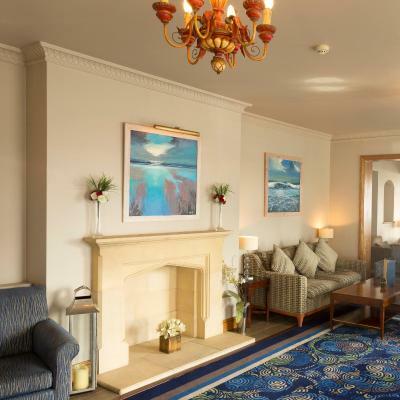 The staff throughout the hotel are attentive and friendly. The beds are comfortable and the breakfast is exceptionally good. We had lunch at the hotel on arrival and dinner the following evening - both very enjoyable. We were a family group of 6 and of 3 generations but everyone in our party was happy with the hotel. It is a quiet hotel and most guests were couples. Good (over bath) shower and toiletries. Climb back up the hill! Internet went off for a day , but thats it ! Great location , really good staff , very friendly place . Good food . Very narrow lane and sharp turn into hotel which was a little scary the first time I did it (having got lost first). Breakfast was wonderful, watching my weight and there was a great choice of options. Also beautiful view from breakfast table. Lots of little extras in the room, which although small and at the back of hotel was perfect for one and great value. The bed was very comfy. Also gluten free bread availability was good too. The pillows were extremely uncomfortable and the twin beds pulled together meant a big ridge in the middle of the bed. Not a great night's sleep! Bring back your old menus!! We've been many times for dinner and the past couple of times we've not found the menu to be very inspiring Such a shame, always enjoyed the amuse bouche which you've also stopped. The beautiful views, the hotel was clean and staff were friendly and helpful. We felt that the price of the meal on Tuesday night at the hotel was over priced. Up to the usual high standard. All. A nice old fashion 4 stars, beautiful view.